That LeEco smartphone with a dual rear camera setup that looks like a robot face finally has a name. 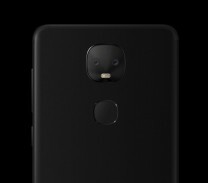 The Chinese company took the wraps off it today, and it's called Le Pro 3 AI Edition. It's not the Le Max 3 as we thought. 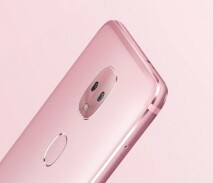 It will become available in China on April 14 in gold, rose gold, and black. It will be offered in two versions, "standard" and "eco". The latter is the higher-end. 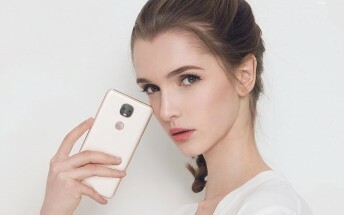 The standard Le Pro 3 AI Edition has a 5.5-inch 1080p touchscreen as well as 13 MP + 13 MP dual rear cameras (one monochrome, one color) with f/2.0 aperture, phase detection autofocus, and a dual-LED flash. Video recording in 4K is possible at 30fps. If you want to go slo-mo, there's 720p120 for you. The selfie snapper is an 8 MP unit with f/2.2 aperture and 1.4um pixel size, with a 76.5-degree field of view. The standard version is powered by MediaTek's Helio X23 chipset, aided by 4GB of RAM and 32GB of storage. The phone has a 4,000 mAh battery and it runs Android 6.0 Marshmallow underneath LeEco's EUI. The "eco" variant bumps up the storage to 64GB and uses the more powerful Helio X27 SoC from MediaTek. Otherwise it's identical to the "standard" iteration. They both have the following dimensions: 152.4 x 75.1 x 7.5mm. Either model weighs 168g. 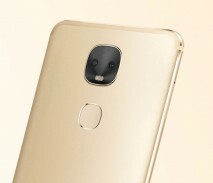 The Le Pro 3 AI Edition is priced at CNY 1,799 (approximately $260 or €245) in the standard configuration, and CNY 2,399 ($347 or €328) if you go for the "eco" one. Regardless of which you pick, the Le Pro 3 AI Edition comes with its own virtual assistant built-in - LeLe. You can start talking to it even when the screen is off, and apparently it's integrated with all of LeEco's apps. It's also supposed to learn over time and become better at what it does.